Astrolabe Booksellers no longer has a shop of its own, but does have stock available for perusal and purchase in The Antique Warehouse, 64 Warwick Street, Hobart, Tasmania (open 10am to 5pm, Monday to Saturday & 12-4pm Sunday). Astrolabe Booksellers is the leading antiquarian/ second-hand/used bookseller in Australia's island state. 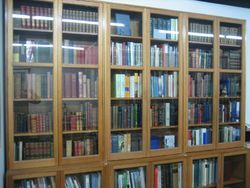 Proprietor Michael Sprod is a long-standing member of the Australian and New Zealand Association of Antiquarian Booksellers. Astrolabe carries a good range of antiquarian and second-hand books on a wide variety of subjects, specialising in works on Tasmania, Australia, Antarctica, Aborigines (especially Tasmanian), and maritime subjects. Our prices are net and postage is extra. We accept direct bank deposits from Australian customers, Visa and Mastercard, PayPal and AUD money orders. Any book may be returned (if promptly and well packed) for any reason. POSTAGE - the quoted rates are for a single book well-packed in a parcel of up to 1kg (2.2lbs) - or 1.75kg for two items. If the book you have ordered weighs more that this, we will advise you and seek your confirmation for the higher postage charge required.